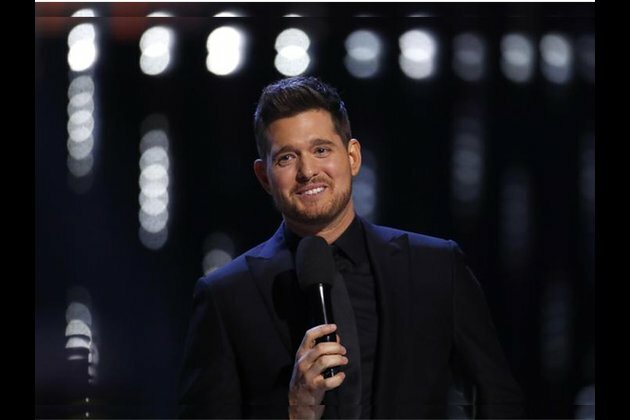 Washington D.C. [USA] Nov 8 (ANI): Singer-songwriter Michael Buble is all set to receive a star on the Hollywood Walk of Fame on November 16, 2018. The 43-year-old singer will be the 2,650th star on the legendary sidewalk. The ceremony will take place in front of the W Hollywood Hotel, reported Variety. The list of guest speakers at the unveiling ceremony will include Walk of Famer David Foster, Priscilla Presley and Tom Corson, co-Chairman and COO of Warner Bros. Records. Throughout his long career, Buble has sold more than 60 million records worldwide and earned four Grammy Awards and multiple Juno Awards for his soulful jazz sound. He began his career with his first album titled 'BaBalu', and went on to record several popular albums, before gaining massive fame with his 2011 'Christmas' album. The album rose to the top of the charts in more than 20 countries and sold more than seven million albums worldwide. The 'Feeling Good' singer then followed up his Christmas album with his 2013 album 'To Be Loved' before the release of his ninth studio album 'Nobody But Me' in 2016. Now Buble is all set to release his latest album 'Love', which is produced by David Foster and Jochem van der Saag and will be out on November 16. The Grammy-winning singer is also going to treat his fans on the 27-stop United States 'Don't Believe the Rumors' tour. The tour will kick start in Tampa right after the holidays on February 13 and then head to places like Madison Square Garden in New York City and Los Angeles' Staples Center before wrapping it up in Washington on April 6, reported The Hollywood Reporter.